Born in Philadelphia in 1969, Chris has been a Doylestown resident since 1970. Chris, his wife, Michele, and their five children, are all active members of their community. Chris and Michele are proud supporters of their children’s educational and extra-curricular interests. Chris has coached Lenape Valley football, Doylestown Athletic Association baseball and Central Bucks Athletic Association basketball since 2005. Chris is currently a member of the Board of Directors for CBAA Basketball. Chris earned his law degree from the Villanova University School of Law in 1997. He earned his B.S. from Temple University in 1993. He is admitted to practice in the Supreme Court of Pennsylvania and the Supreme Court of New Jersey, the United States District Court for the Eastern and Middle Districts of Pennsylvania, the United States District Court for the District of New Jersey, and the United States Court of Appeals for the Third Circuit. Chris is a member of the Bucks County Bar Association. Chris co-founded Mazullo & Murphy, PC with Kevin Murphy in 2003. Chris and Kevin both graduated from Archbishop Wood High School and also attended the Villanova University School of Law together. 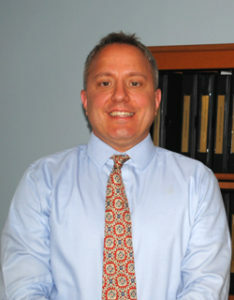 Chris serves as General Counsel for many local businesses. He also proudly volunteers as General Counsel and/or as a member of the Board of Directors on several area non-profit corporations, including the Nick DiMaria Foundation, Animal Lifeline, the Pennsylvania Independent Waste Haulers Association, the Lenape Valley Foundation and the Lenape Valley Trust. Chris currently sits on the Executive Committee of the Lenape Valley Foundation and was the recipient of the 2009 President’s Award with regard to his work in establishing the Lenape Valley Trust.